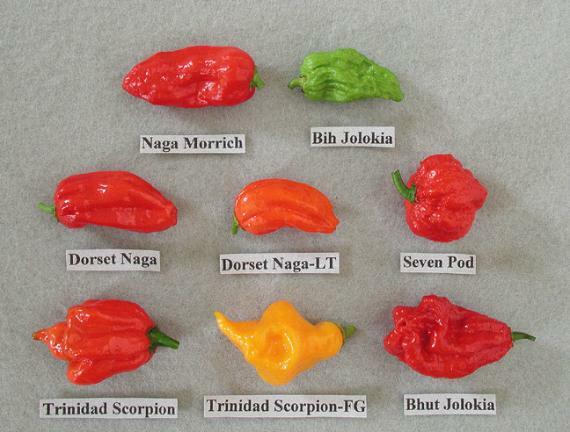 THE 7 POT RED BUBBLE GUM IS A CROSS BETWEEN THE MORUGA SCORPION AND A TRINIDAD YELLOW 7 POT. THE UNIQUE THING ABOUT THIS PEPPER IS THAT THE COLOR BLEEDS UP INTO THE STEM AND COLORS PART OF THE STEM RED.THE BUBBLE GUM HAS A GREAT SWEET TASTE, AND HAS A VERY GOOD HEAT THAT I ESTIMATE AT 750,000 ON THE SCOVILLE SCALE. THE HEAT IS A GOOD MOUTH BURN THAT LASTS A WHILE. THIS IS A GREAT PEPPER IF YOU WANT A GOOD HEAT THAT'S OVER A HABANERO AND UNDER THE GHOST. 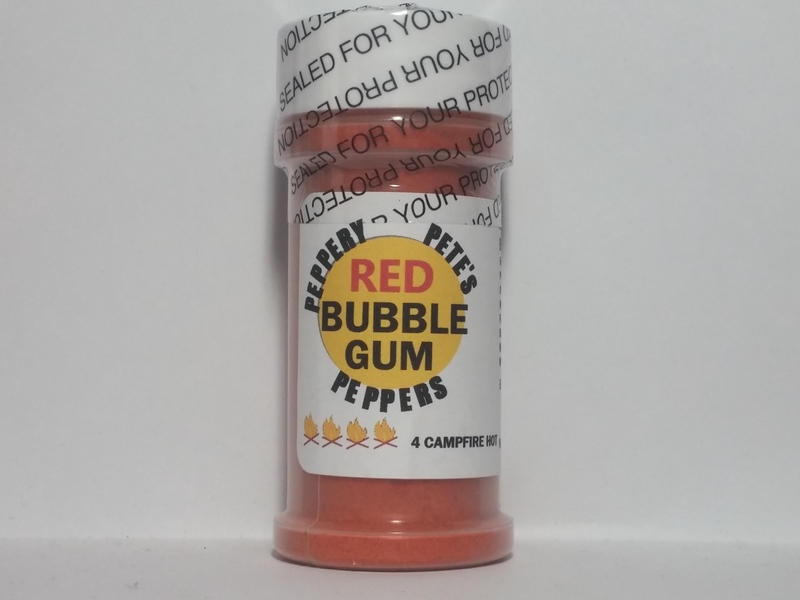 THE 7 POT RED BUBBLE GUM COMES IN A 1.60 OZ. BOTTLE. THE MURUPI AMARELA IS A LITTLE KNOWN PEPPER FROM NORTHERN AREAS OF BRAZIL. PEPPERS ARE A FEW INCHES LONG AND AS THICK AS A PENCIL, PEPPERS TURN FROM GREEN TO A CREAMY WHITE COLOR WHEN RIPE. THE FLAVOR OF THE MURUPI IS LEMON/LIME BUT I TASTED A LIME! THE HEAT IS EQUAL TO MOST HABANEROS. I ESTIMATE THE HEAT AT 200,000 ON THE SCOVILLE SCALE. 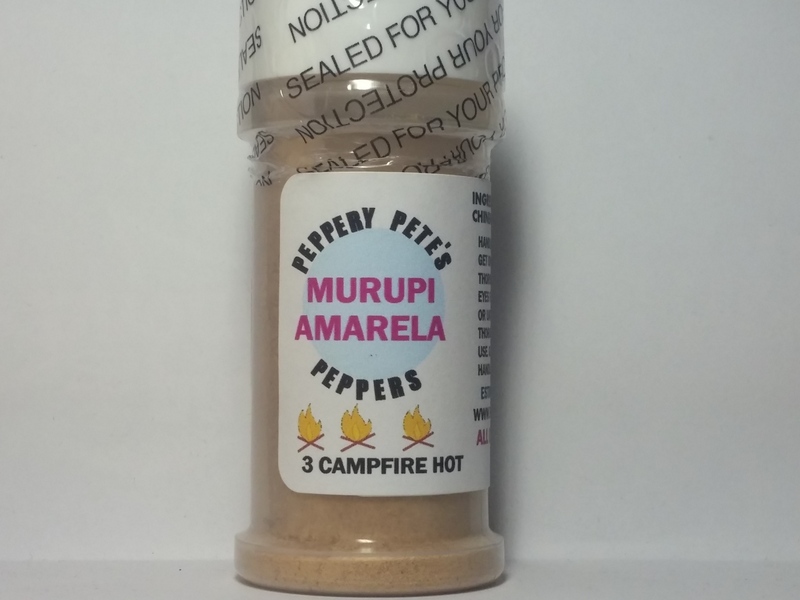 THE MURUPI AMARELA IS THE PEPPER FOR YOU IF YOU LIKE THE HABANERO YOUR GOING TO LIKE THIS PEPPER .MURUPI AMARELA COMES IN A 1.60 OZ. BOTTLE. 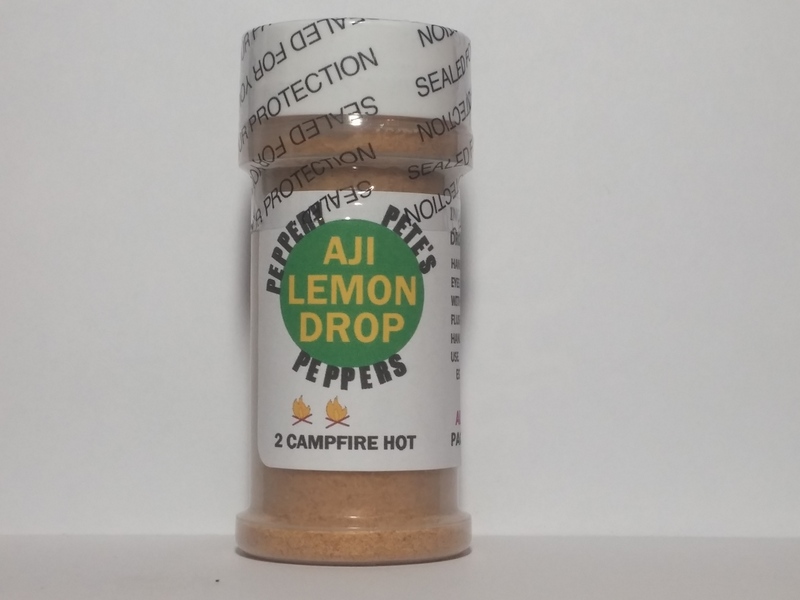 THE AJI LEMON DROP IS A POPULAR SEASONING IN PERU. AJI MEANS PEPPER. THE LEMON DROP HAS A GREAT SWEET LEMONY FLAVOR! THE HEAT TAKES A FEW SECONDS TO HIT AFTER TASTING THE LEMONY FLAVOR! I ESTIMATE THE HEAT LEVEL AT ABOUT 40,000 ON THE SCOVILLE SCALE, SO THE LEMON DROP DOES HAVE A LITTLE KICK TO IT!!! THIS IS ONE OF MY FAVORITE PEPPERS, GREAT LEMONY FLAVOR WITH A KICK!! THE LEMON DROP COMES IN A 1.60 OZ. BOTTLE. 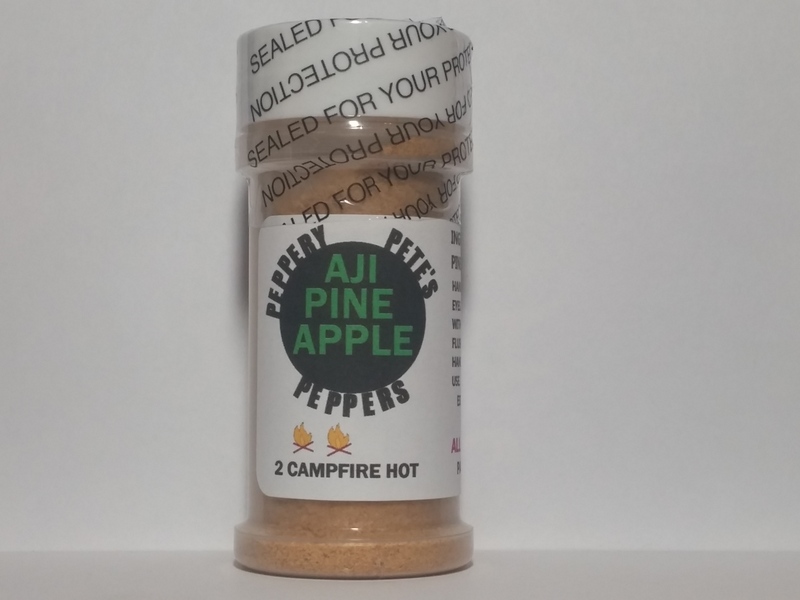 THE AJI PINEAPPLE HAS A GOOD SWEET PINEAPPLEY TASTE.THE HEAT TAKES A FEW SECONDS TO HIT, BUT THEN YOUR GIVEN A NICE HEAT THAT LASTS.I ESTIMATE THE HEAT LEVEL AT ABOUT 30,000 ON THE SCOVILLE SCALE. TRY THE AJI PINEAPPLE IF YOU LIKE A HOT PINEAPPLE FLAVOR! AJI PINEAPPLE IS PACKAGED IN A 1.60 OZ. BOTTLE. Orders of $10 or more have free shipping.